How to Help Your Dog's Heart - First Edition First Aid Training Inc.
We make healthy decisions everyday to ensure we have a healthy heart. We try to stay active, make good diet choices, and reduce as much of our stress as we can. The more action we take to prevent heart disease, the happier and longer lives we will live! But what about our dog’s heart(s)? As quoted by Josh Billings, “A dog is the only thing on earth that will love you more than he loves himself.” With such selfless love, how can we not want to do everything possible to help our dog’s hearts? Our dog’s rely completely on us to provide them food, exercise, shelter, and (best of all) love! 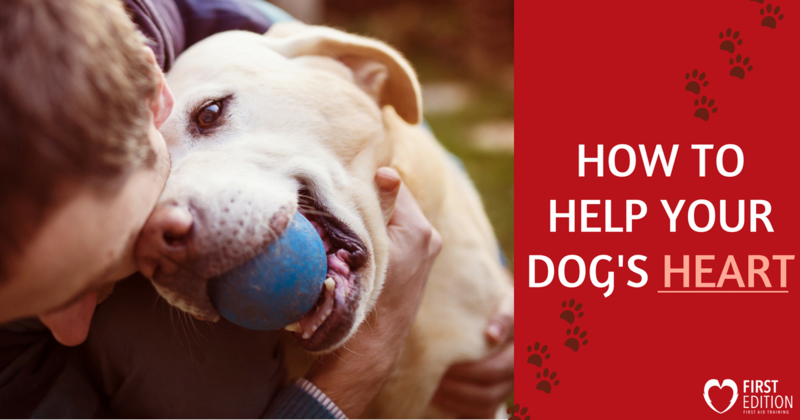 Are you wondering what you can do to improve your dog’s heart and keep those tails wagging? Here is how you can give them the heart healthy life they deserve! One of the easiest ways to keep your dog’s heart in tip-top shape is to give them a healthy diet. A good diet will improve their overall nutrition and ensure that they are receiving the right nutrients needed for a healthy coat, teeth, bones, and heart! The best way to find a good food and diet plan is to speak to your local veterinarian. Your vet can recommend food brands and supplements that will provide your dog with everything they need based on their current age, health, breed, and size. But do your own research too, there are lots of natural foods that your vet may not have in stock. Similar to humans, when dogs are overweight it puts pressure on the heart. 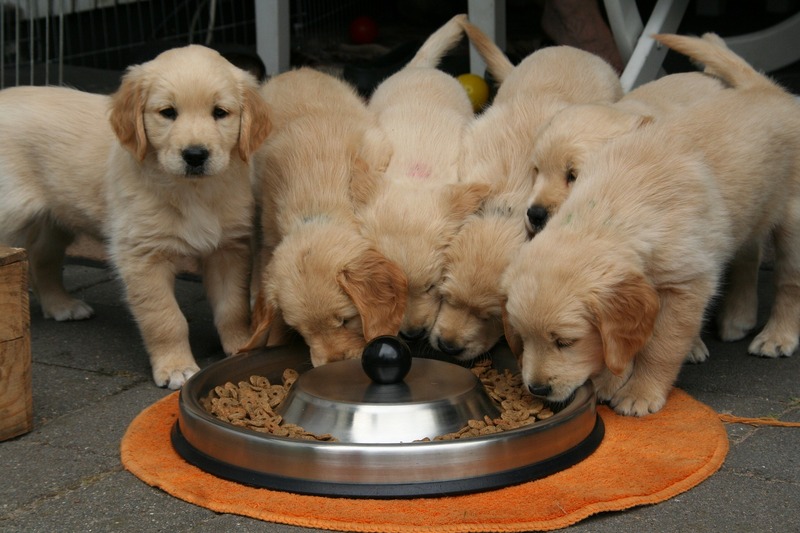 Obesity in dogs is extremely common due to over feeding, lack of exercise, and perhaps a few too many treats given when the puppy-dog eyes come out. The problem is, when a dog’s body is overweight, it increases the likelihood of heart disease and raises blood pressure levels (just like us). Not to mention, obesity in dogs is also linked to joint pain, arthritis, breathing problems, and tumors. If your dog is overweight and suffers from obesity, speak with your vet to determine a course of action to reduce their weight and get your dog back to a health size! Along with keeping your dog at a healthy weight, it is important for them to go out and get exercise as well. Dog’s love to be out and active, whether they are hiking down a trail with you or playing fetch at a nearby river. 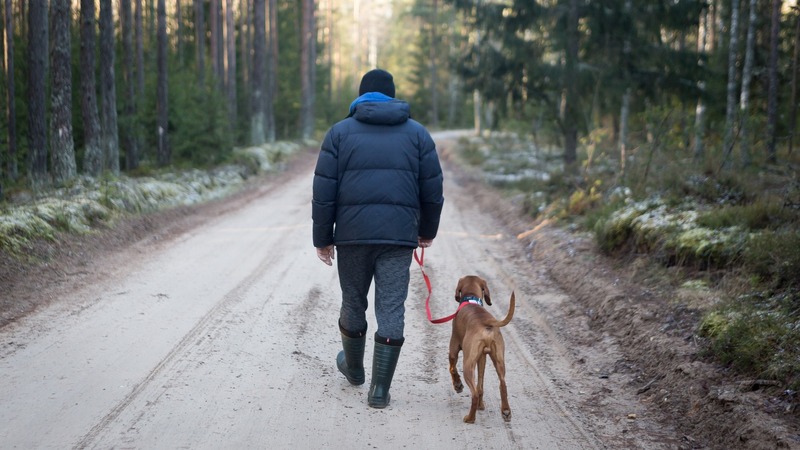 Get out and get moving with your dog by taking them for daily walks, dog-park play dates, and adventures out in the bush to help them stay fit. As a bonus, moving with your dog will also keep your own heart healthy! Heartworm is a disease contracted by dogs that can lead to the failure of their lungs, heart, and other organs. A dog will get heartworm if a mosquito carrying the disease, which is then passed on to the dog, has bitten it. Heartworm works when, “…the infective larvae are deposited onto the surface of the animal’s skin and enter the new host through the mosquito’s bite wound. Once inside a new host, it takes approximately 6 months for the larvae to mature into adult heartworms.” as stated by the American Heartworm Society. Thankfully, heartworms (and heart disease) can be avoided through the use of topical or chewable medications. If mosquitos are bad in your area, speak with your vet to take preventative measures and keep your dog’s heart safe! Another way to help your dog’s heart (and your own!) is to show your dog some cuddly L-O-V-E! 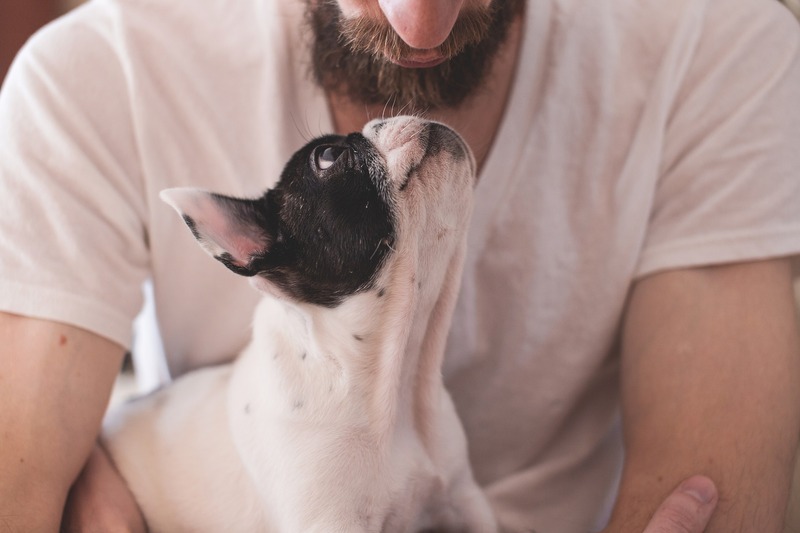 Spending some one-on-one time with your dog by giving them pets and scratches can actually help their heart! The simple act of touching your dog reduces their stress, relaxes them, and lowers their blood pressure levels. Some studies have even found that petting your dog can release a hormone called oxytocin that is responsible for bonding. Not only is this quality time helping your dog’s heart but it is helping yours too! Your blood pressure and heart rate will lower and you may even find your stress levels decreasing. Doggy cuddle puddle! Taking preventative measures is the first step, but it is also necessary to be aware of what heart disease looks like in a dog. One of the most common reasons for heart disease in dogs is a heart defect or older dogs getting heartworm. Additionally, larger breeds are more likely to have heart problems that result in the heart becoming enlarged, whereas smaller breeds tend to have more problems with their valves. If you are able to identify the symptoms, you can seek medical assistance and help your dog stay healthy and happy for the rest of their lives. If you notice any of these signs, take them to your veterinarian for a check-up to get their health back on track. Do everything you can to keep your dog’s heart in great shape! Do this and you will be thanked each and every day when you come home to a wagging tail and slobbery kiss.